Invited by Art Basel Cities: Buenos Aires to participate in their Parallel Talks programme during ArteBA, Latitudes spent a week in Buenos Aires (9–15 April) visiting a range of studio spaces, non-profit initiatives, commercial galleries, residency programmes, collectors, artists, and the arteBA art fair itself. (Above) Mariana Tellería ("Dios es inmigrante", 2019) and Carlos Huffmann (below) "Hito de frontera", 2019). 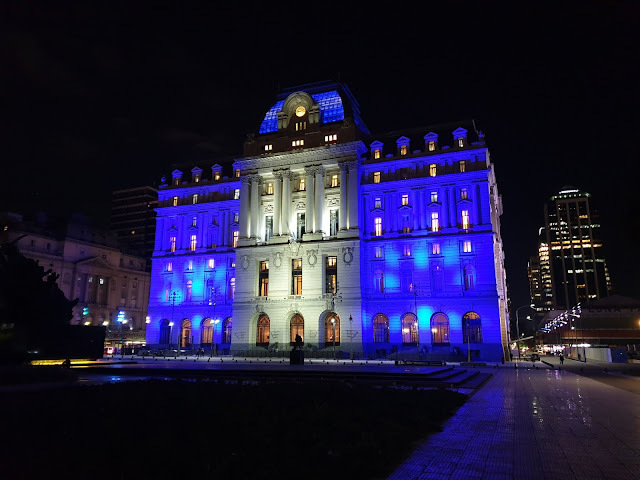 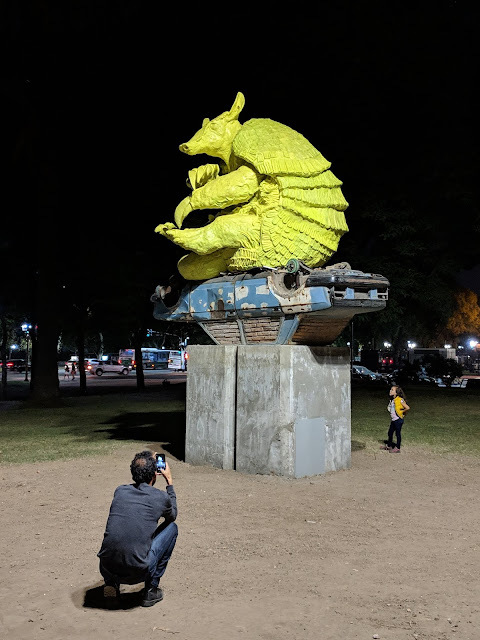 Tuesday 9 April 2019: We arrived in the evening in time to join the opening of the Buenos Aires Art Week (Semana del arte) at Plaza Seeber. 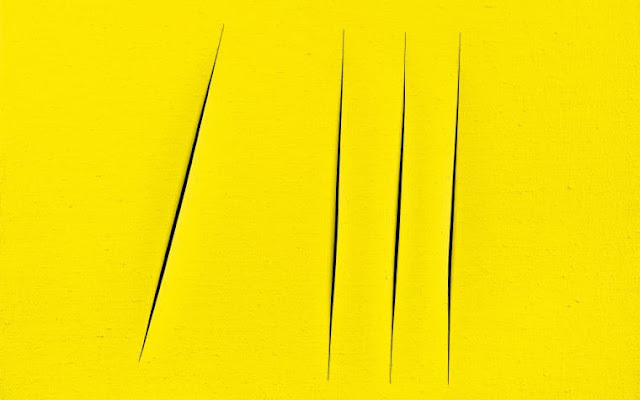 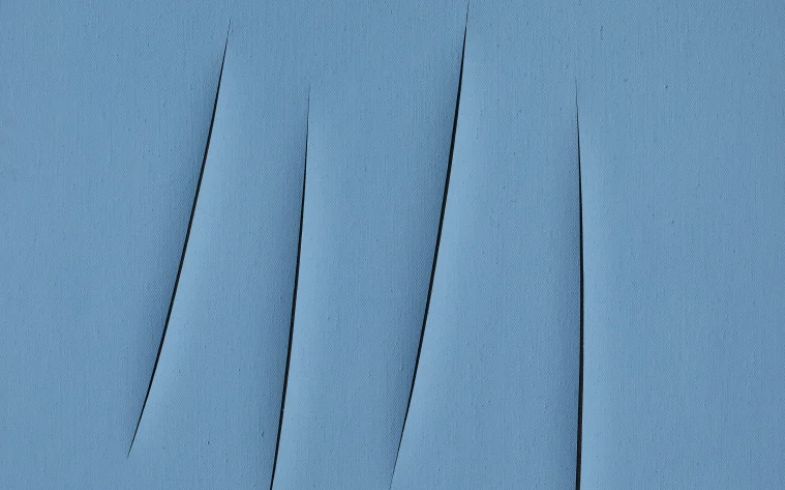 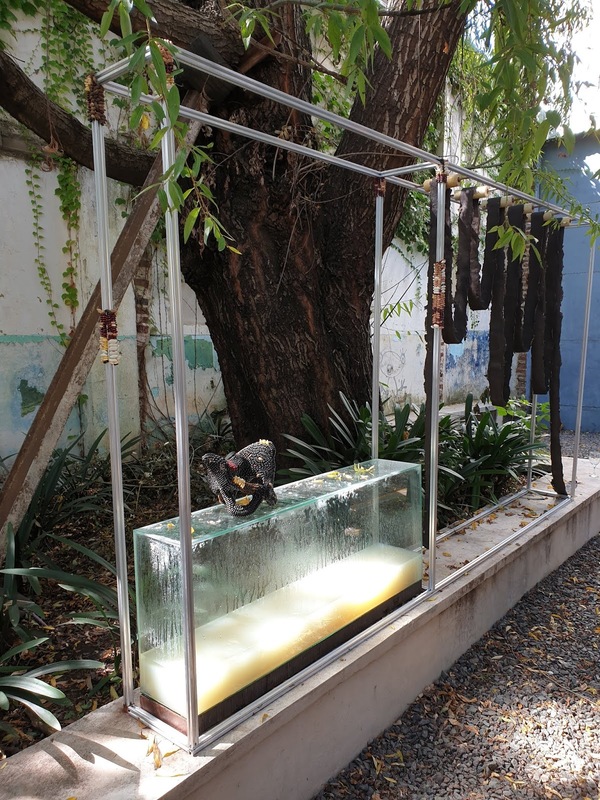 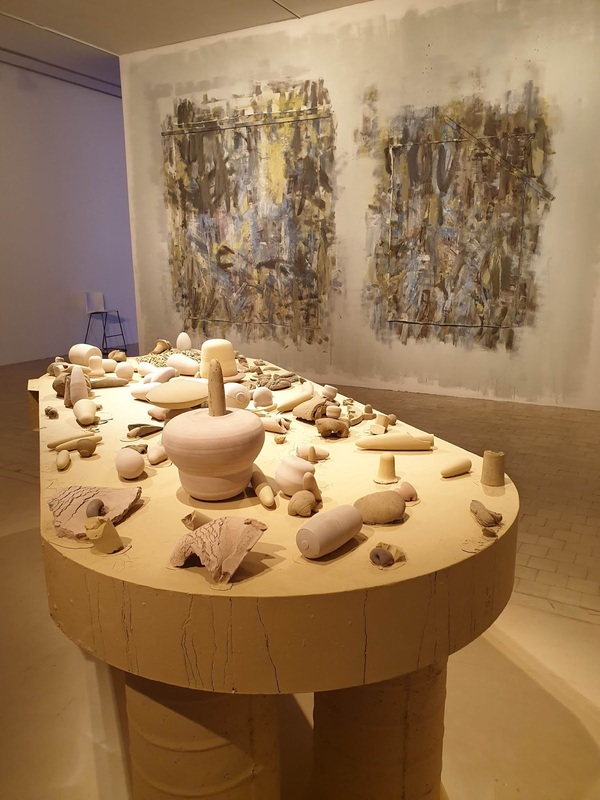 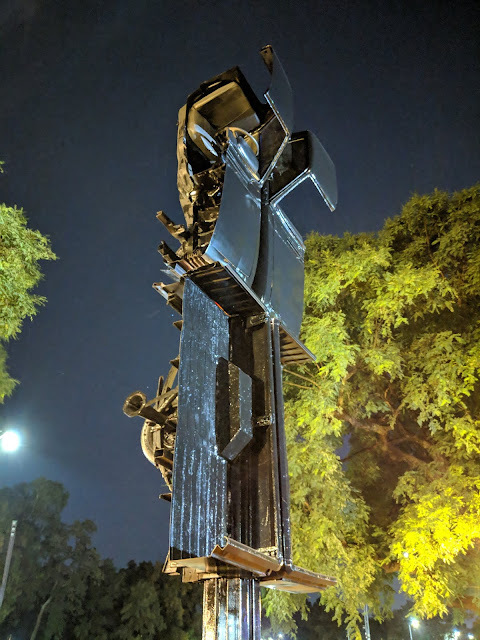 On the square, several sculptures were commissioned for the occasion, including works by Mariana Tellería (representing Argentina in the 2019 Venice Biennale), as well as works by Margarita Paksa, Marie Orensanz, Luna Paiva and Carlos Huffmann. 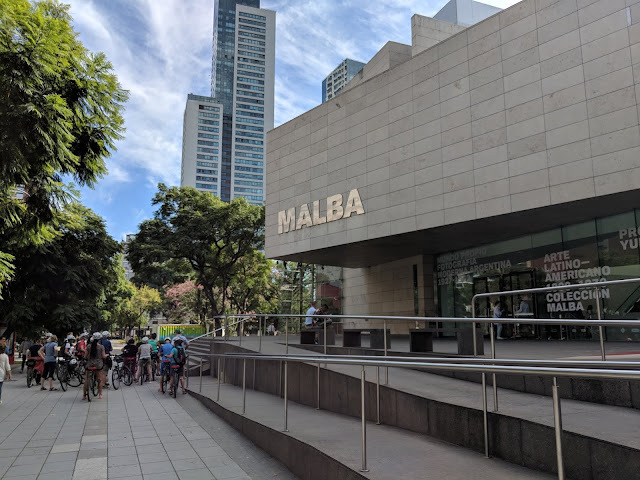 Façade of MALBA — Museo Arte Latinoamericano de Buenos Aires. 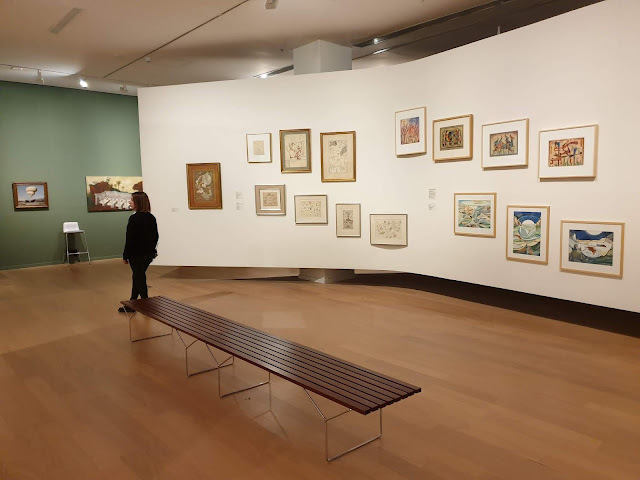 Wednesday 10 April: Morning visit to MALBA — Museo Arte Latinoamericano de Buenos Aires, who just announced the appointment of Gabriela Rangel as its new director. 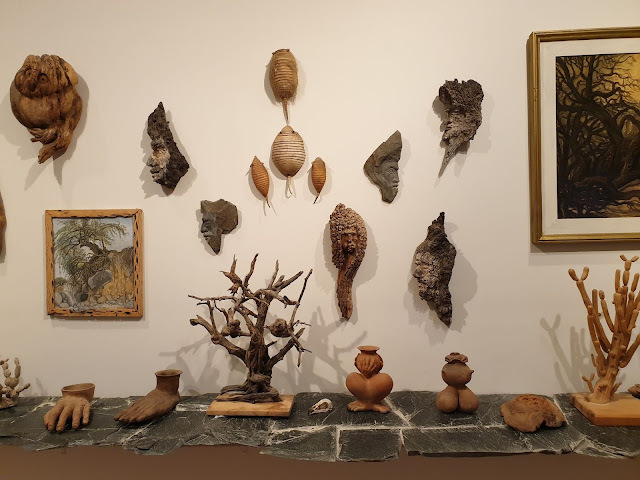 MALBA we saw "Inner world Modern Argentine Photography 1927-1962" with really compelling photographic work by Horacio Coppola, among others, as well as the survey "Latin American Art 1900–1970" from the MALBA collection. (Above) Pistal Central de La Rural. 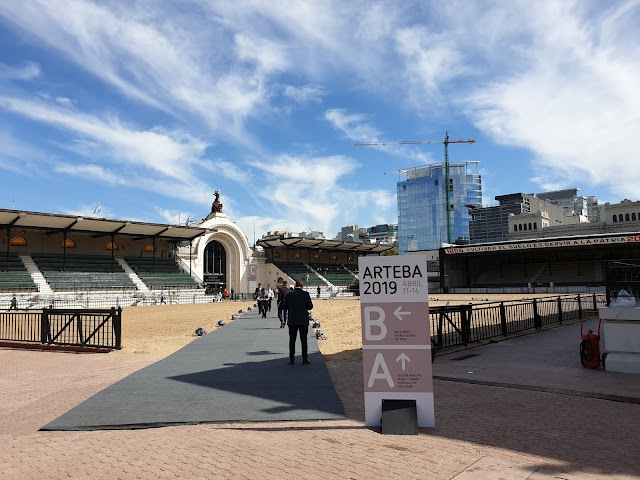 In the afternoon we went to the Pista Central of La Rural to attend the opening of ArteBA. 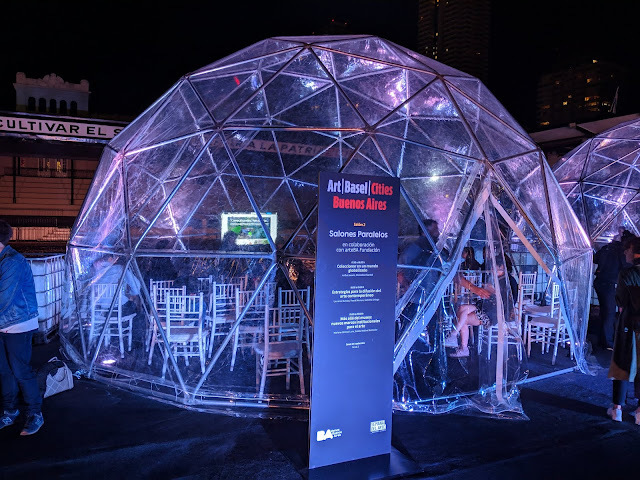 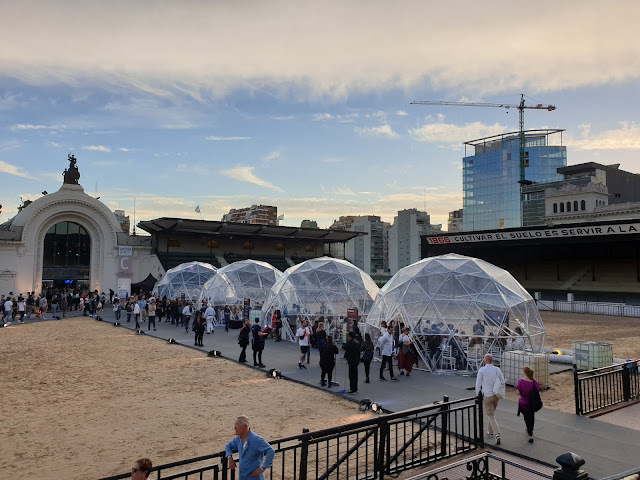 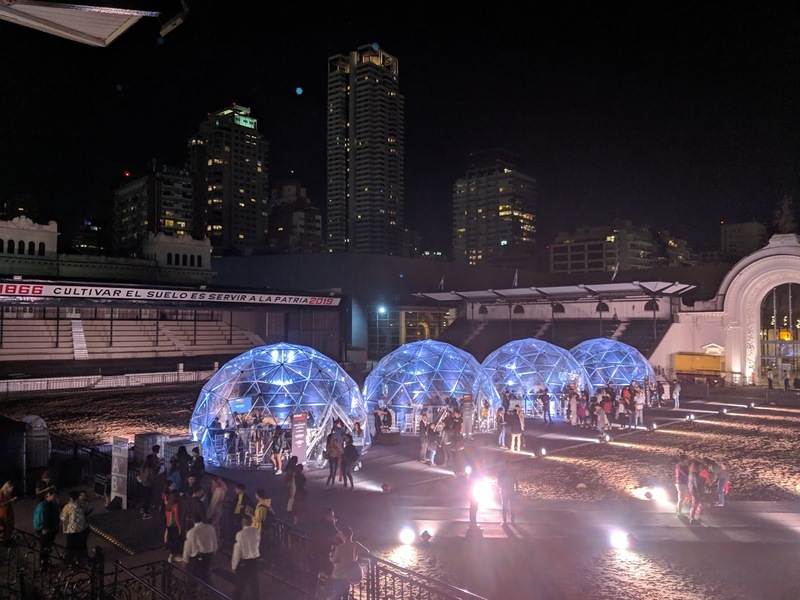 Later in the week, the Parallel Talks programme organised by Art Basel Cities: Buenos Aires would take place inside temporary domes installed on this arena. 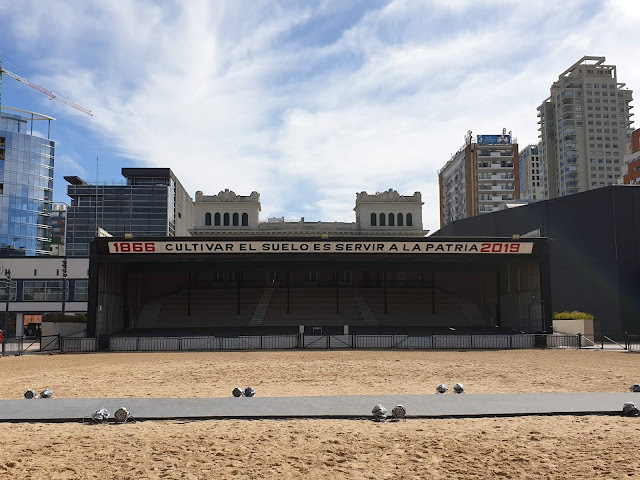 "Cultivar el suelo es servir a la patria" (Cultivate the soil is to serve the country). Inside the art fair ArteBA. 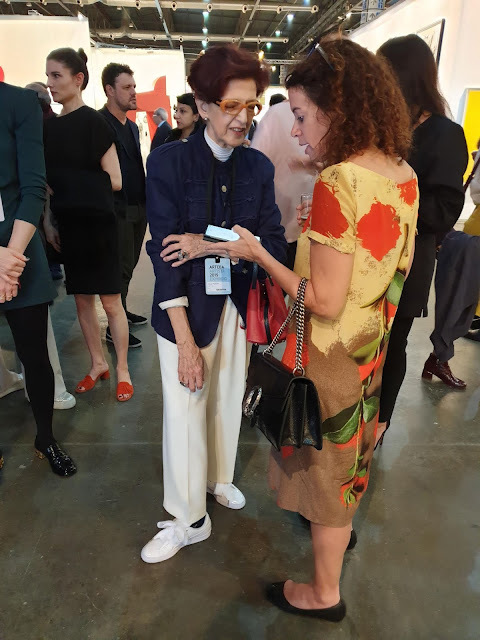 ‘Lleno de sonrisas serias’, a 1963 work by conceptual artist and fashion designer Dalila Puzzovio (work above, the artist is photographed below on the left) was presented at Rolf Art gallery. 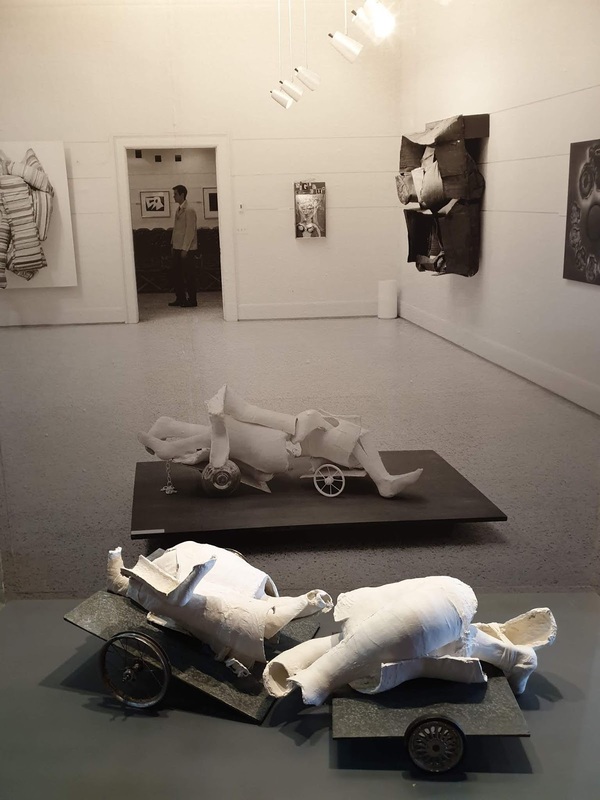 Her discarded cast piece was included in the 1964 exhibition ‘New Art of Argentina’, organized by the Walker Art Center in Minneapolis and the Instituto Torcuato Di Tella in Buenos Aires (installation view in the background where her piece was presented on the floor). As Walker curator Siri Engberg wrote, the show ‘brought to Minneapolis Argentine artistic trends in geometric, abstract, and collage painting, constructivism, and other developments’. 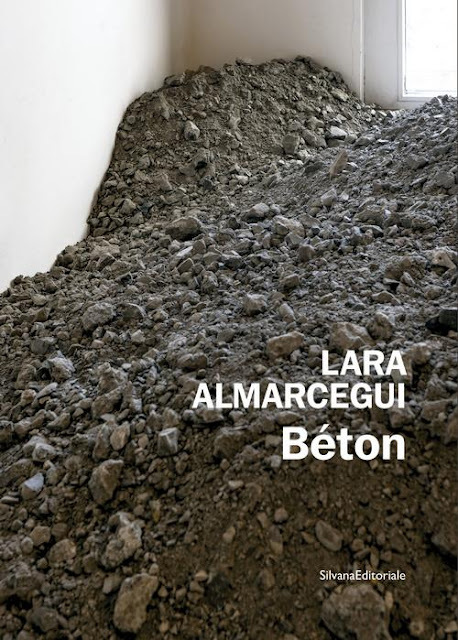 Rolf Art also presented works by José Alejandro Restrepo ‘Parquedades’ (1987) and María José Arjona's performance ‘Línea de Vida’. In the evening we had welcome drinks at the Museo Sívori, which hosted the fantastic solo show "3 de espaldas" by Nicolás Robbio, curated by Sebastián Vidal Mackinson. 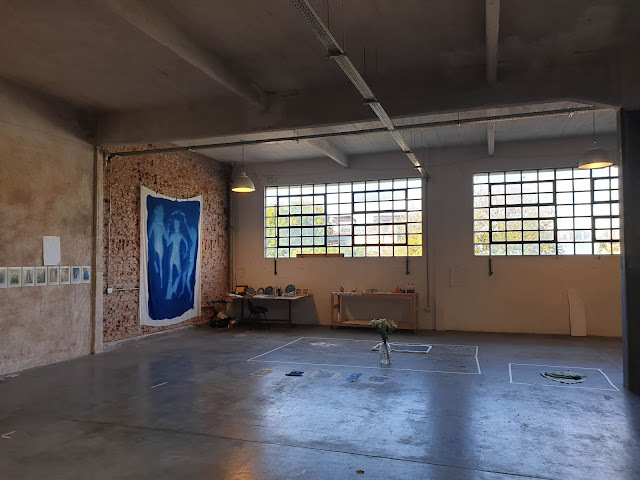 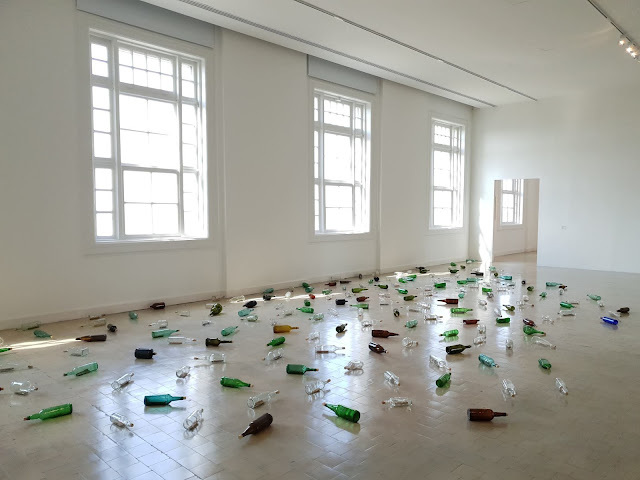 Thursday 11 April 2019: Visit to several studios in the Once neighbourhood, including that of Eduardo Basualdo (two images below). 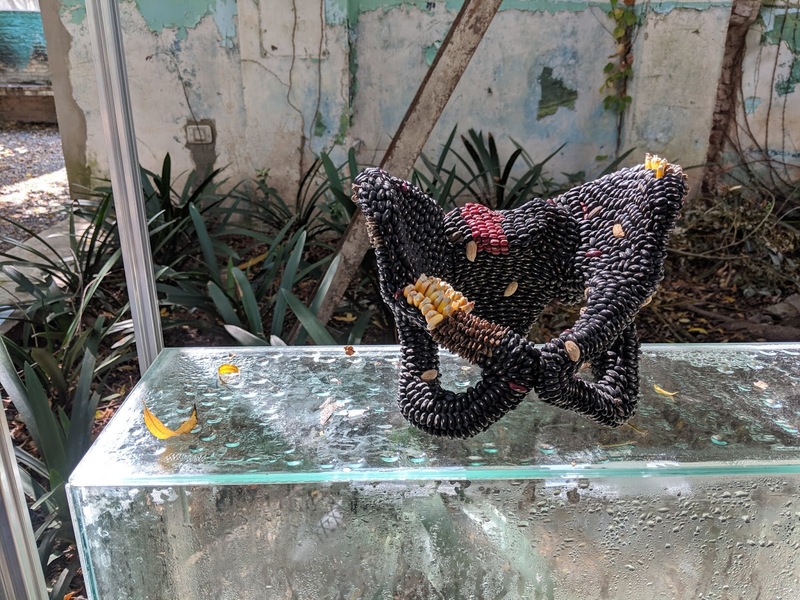 Later visited a group exhibition at galería Revolver which included "Aspiradora" (2017) by Alberto Borea. 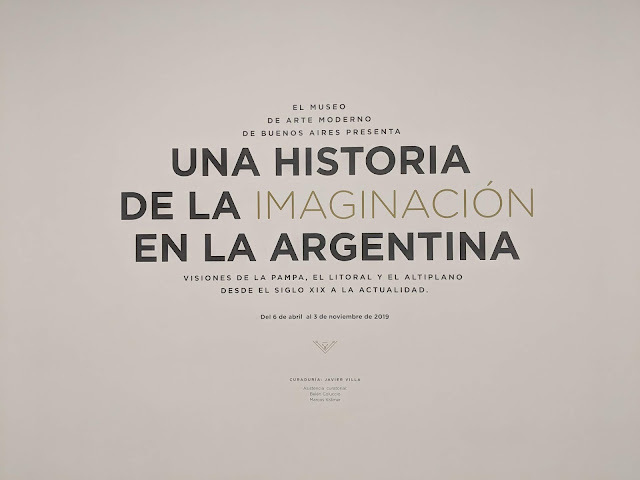 Vicente Grondona's work also at Revolver. 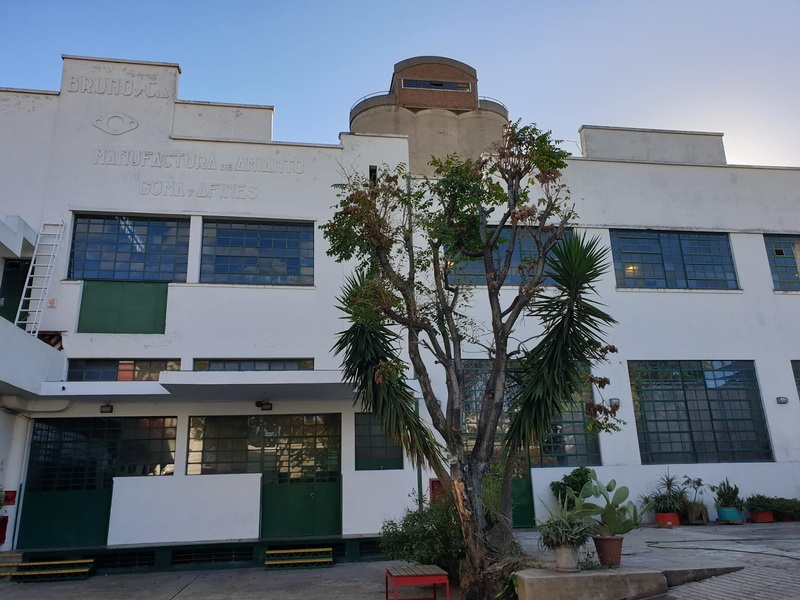 cheLA studio spaces in parque Patricio neighbourhood. In the afternoon we divided into smaller groups. 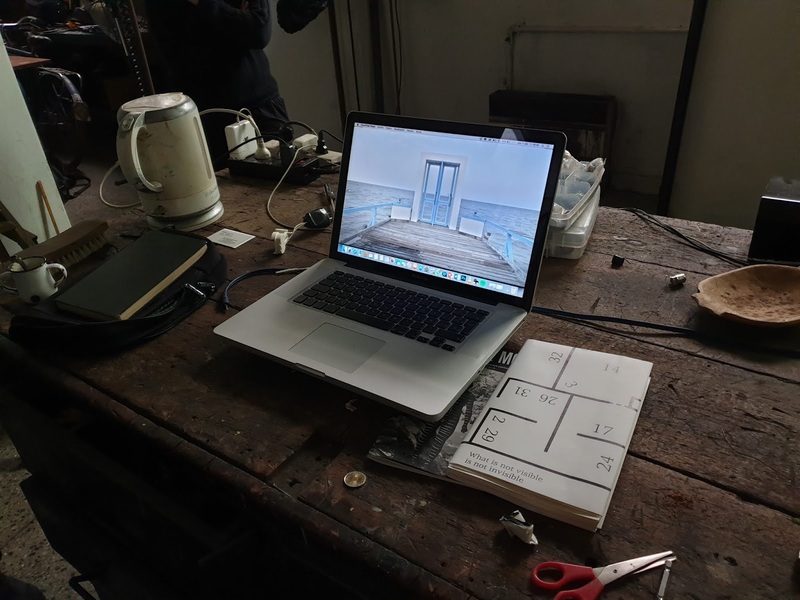 We went to cheLA, a large 1930s industrial building in Parque Patricios hosting a programme of international residencies directed by Pablo Caligaris. 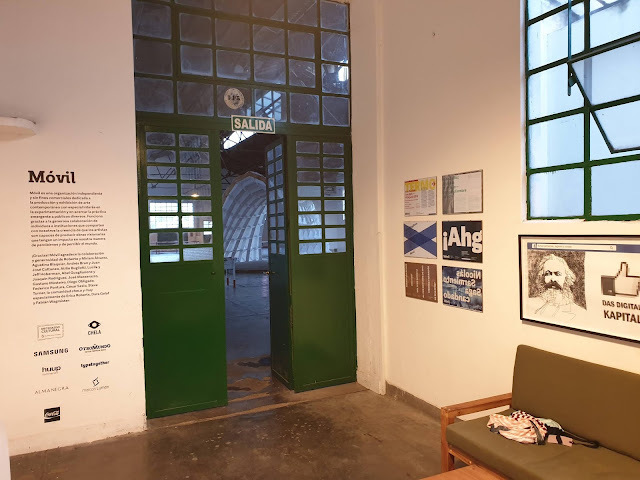 In its 5,000m, cheLA hosts a range of organisations ("Constellations") including Móvil, a non-profit directed since 2014 by Alejandra Aguado and Solana Molina Viamonte, occupying the sala Tatraba. 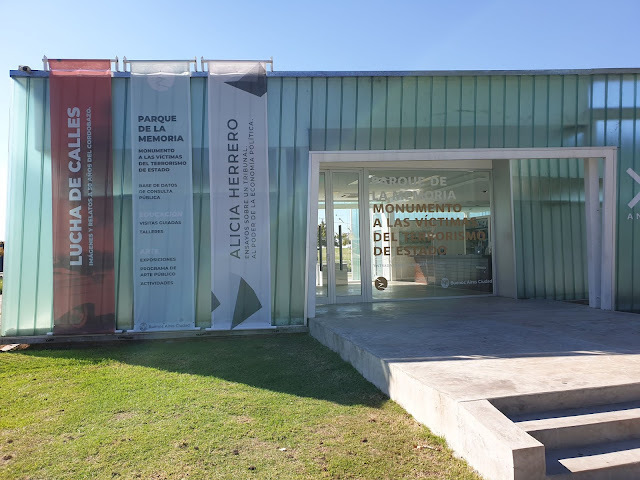 Entrance to Móvil in cheLA. 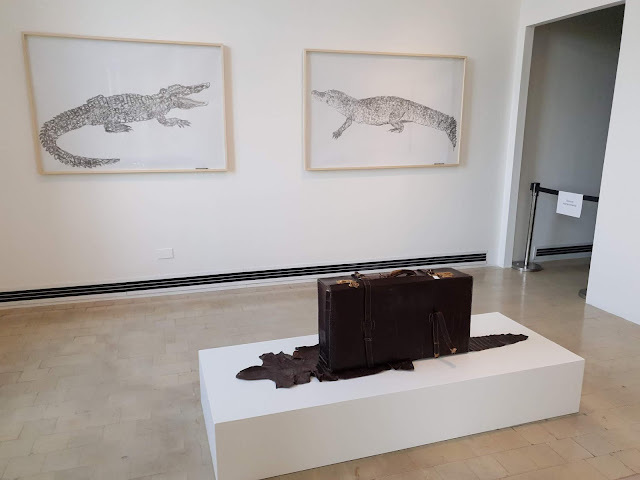 (Above and below) Exhibition "Sí, no y otras opciones" by Tucumán-born artist Mariana Ferreira at Móvil. 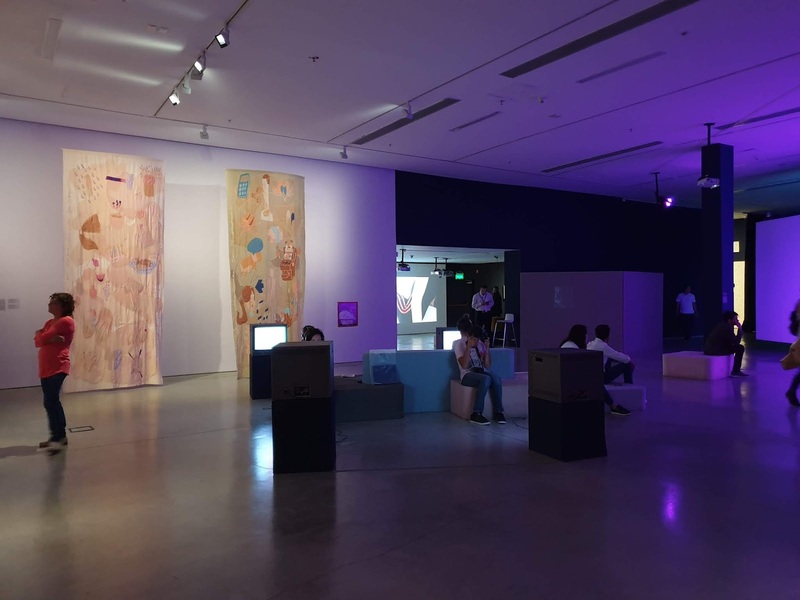 Evening opening at Centro Cultural Kirschner (CCK) hosted a large survey by 47 Argentinian artists titled "La marca original: arte argentino" presented over their vast exhibition spaces on the second and fourth floors. 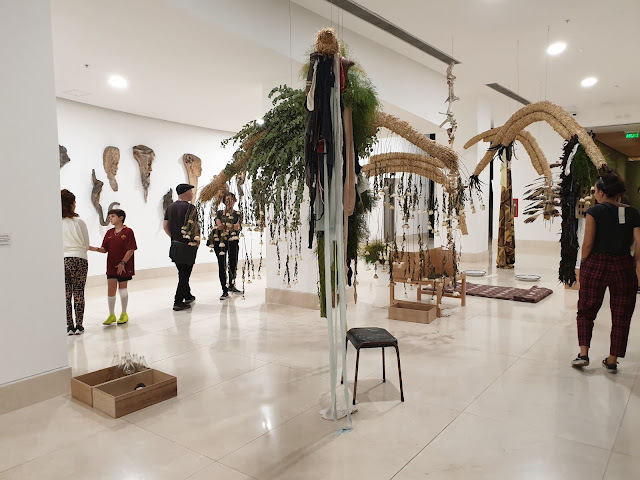 The building was a former post office and reminded us of Madrid's CentroCentro which has undergone a similar readaptation of its use, both struggling to adapt their spaces to the presentation of contemporary art. 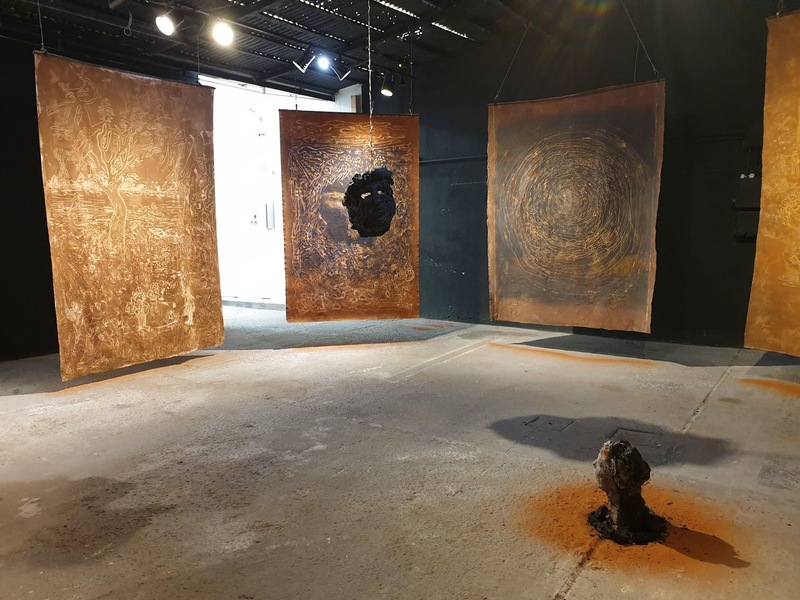 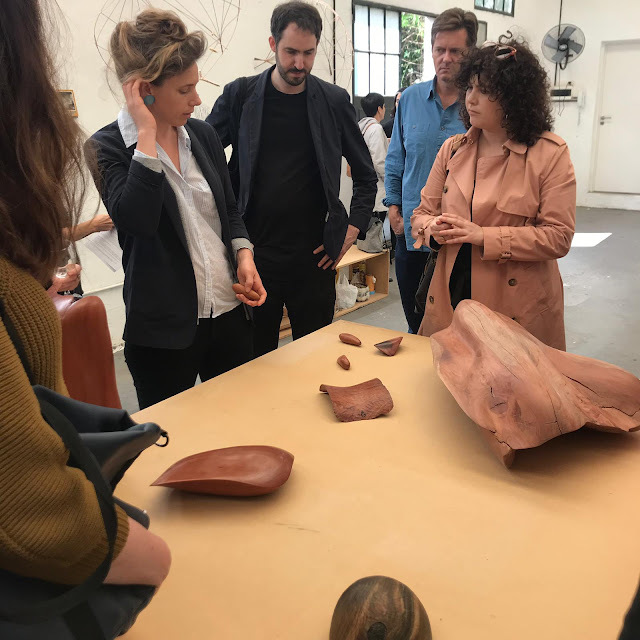 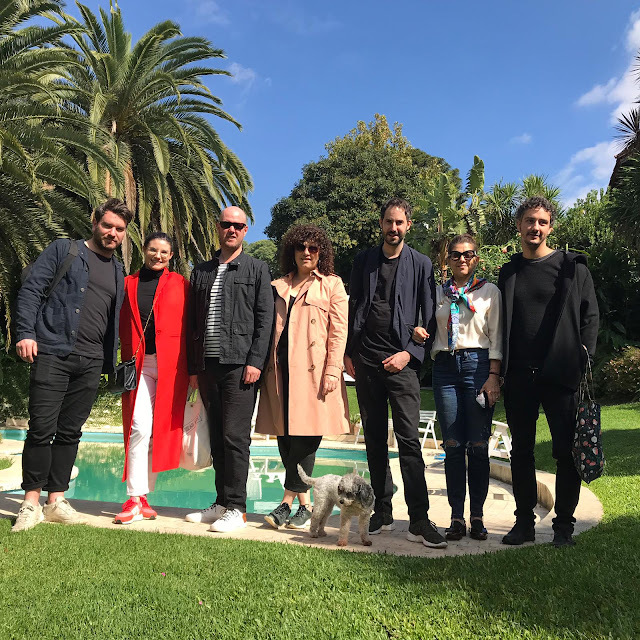 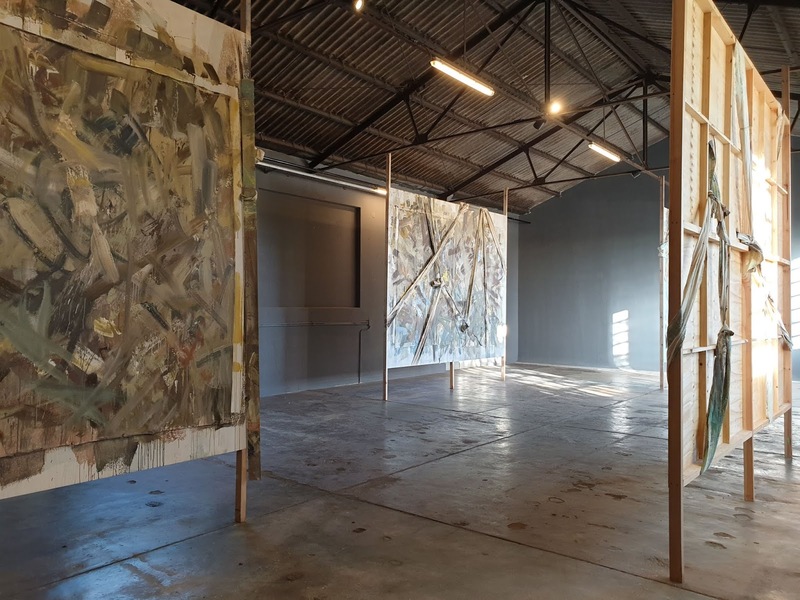 Friday, April 12, 2019: Morning visit to El Tigre, north of Buenos Aires, visiting the home gallery of Maria Casado and the residency programme Proyecto URRA. (Left to right) Stuart Fallon (Talbot Rice Gallery, Edinburg), Marie Christine Schuh (Art Basel Cities: Buenos Aires), Latitudes, Richard Parry (Glasgow International), gallerist Maria Casado and Sandino Scheidegger (Random Institute). Onwards to the nearby Proyecto URRA artists residencies, also in El Tigre. 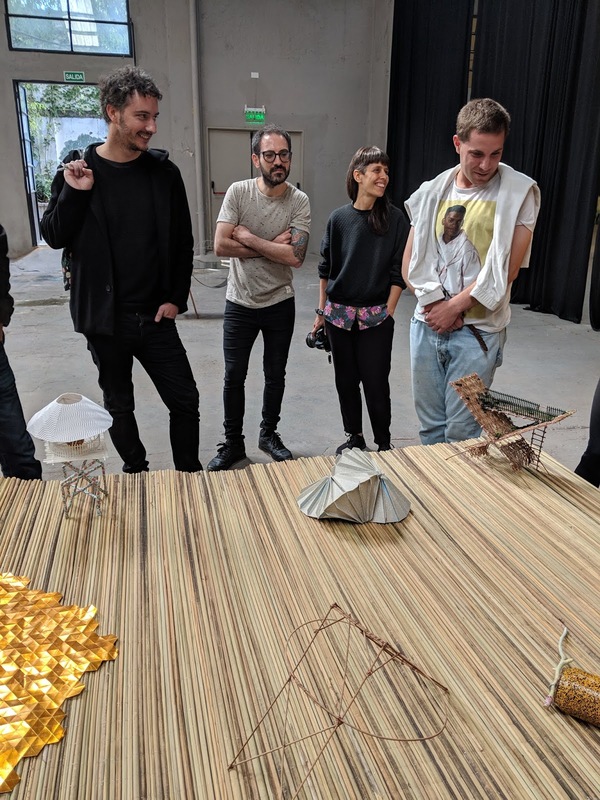 Introductions by the resident artists Antonio Castillo Coo, Claire de Santa Coloma, Enrique Radigales, Lucas Despósito and Marisol San Jorge, and URRA director Melina Berkenwald. (Above and below) Installation by Madrid-based artist Enrique Radigales. 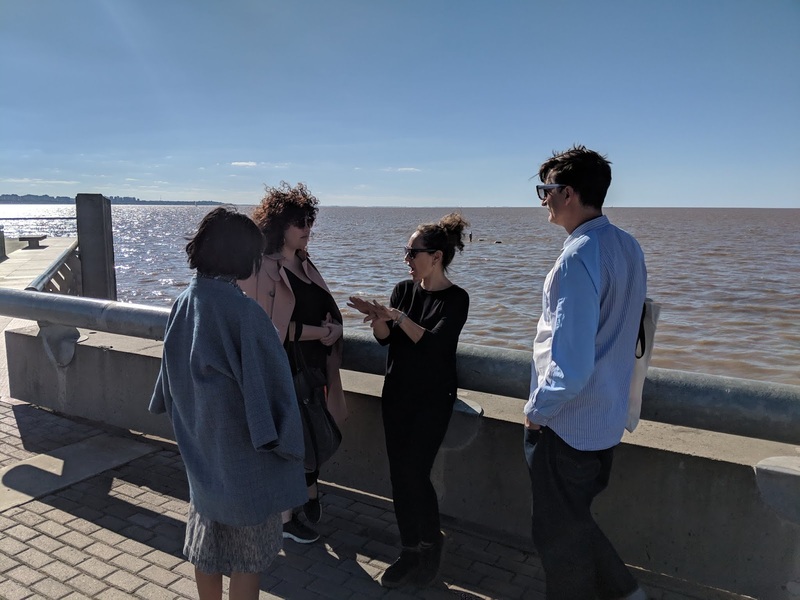 Enrique discusses his piece with visitors and other residents. 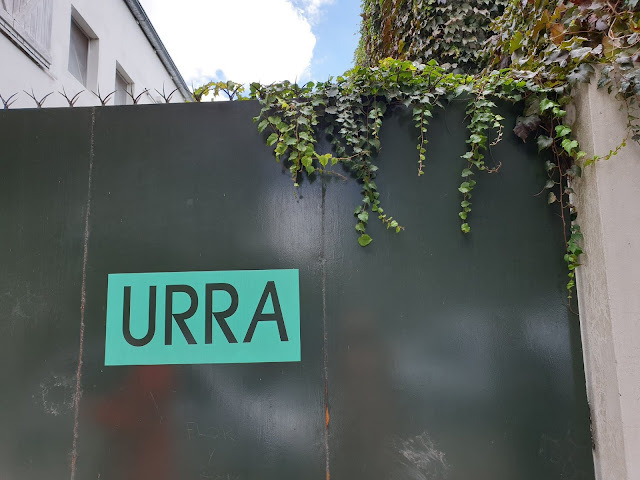 Photo: Stuart Fallon. 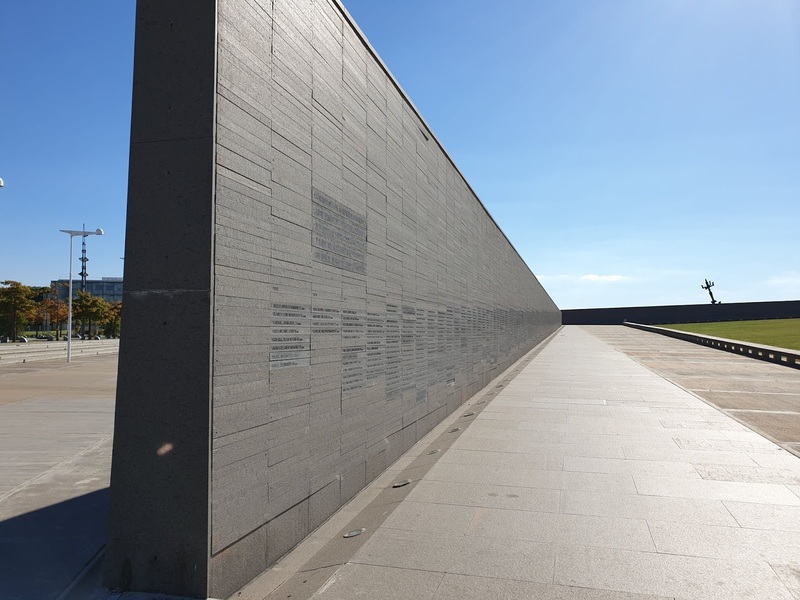 Afternoon at the Parque de la Memoria—a fourteen acre remembrance park situated in front of the Río de la Plata, commemorating the victims of state-sponsored terrorism from the 1976–83 military regime. Here we met Florencia Battiti (Curator at Parque de la Memoria) who explained the mission, programme and public commissions. 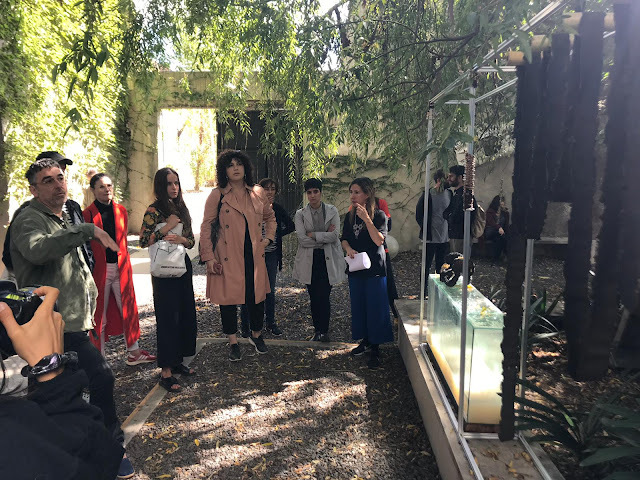 Saturday 13 April 2019: On Saturday morning we joined the arteBA tour to a few galleries in La Boca neighbourhood: Fundación El Mirador (showing Alfredo Prior), Quadro Galería (showing Karin Idelson) and (photographed) Galería Barro exhibiting Marcelo Pombo. 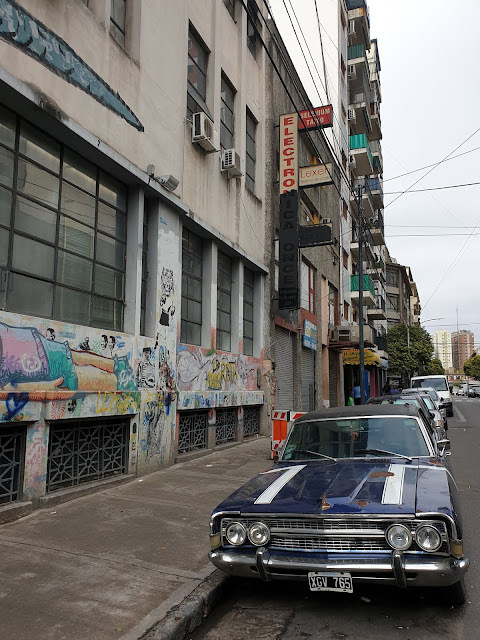 Fundación PROA presented contemporary Argentinian design, and we had ‘choripán’ lunch at the nearby Fundación PROA 21. Back at the fair, "igloo" spaces had been set up by Art Basel Cities: Buenos Aires at the Pista central in La Rural. 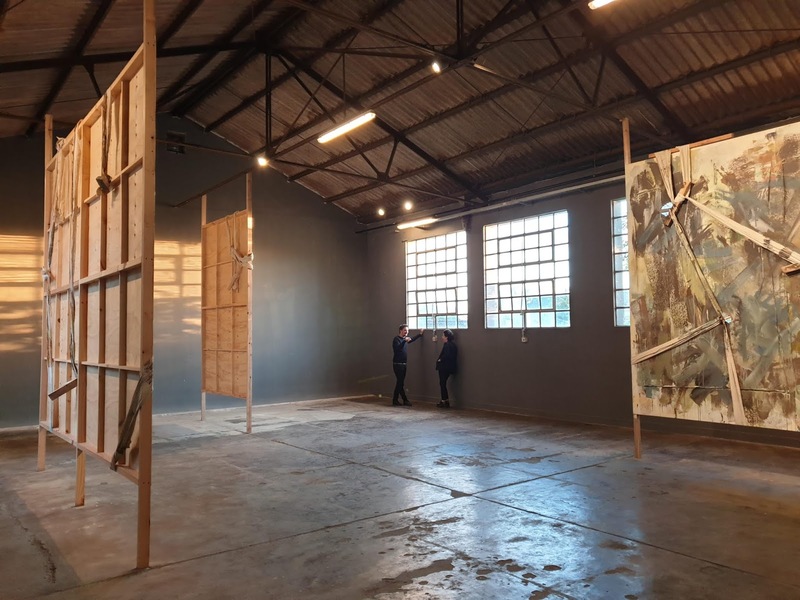 Each space hosted the three consecutive conversations, starting 5:30. 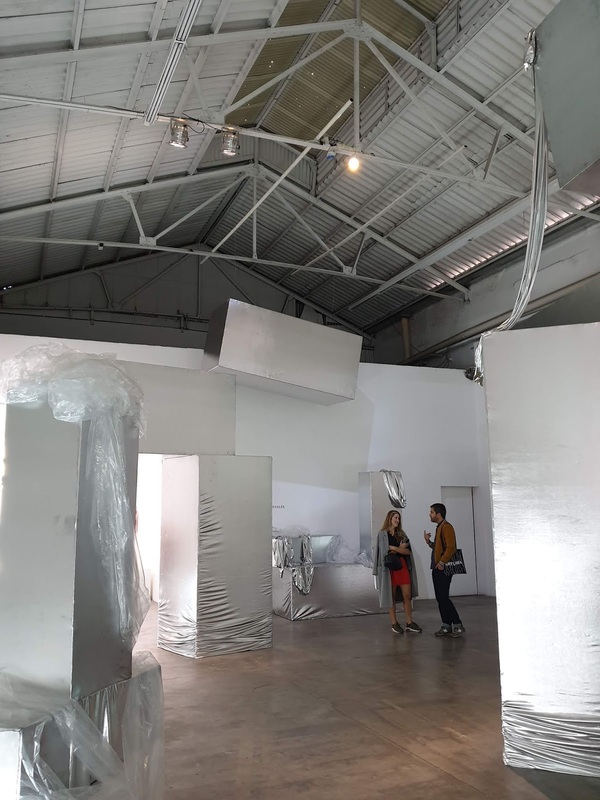 Max Andrews and Mariana Cánepa Luna's individual conversations ran consecutively (at 6:30 and 7:30) for an hour. 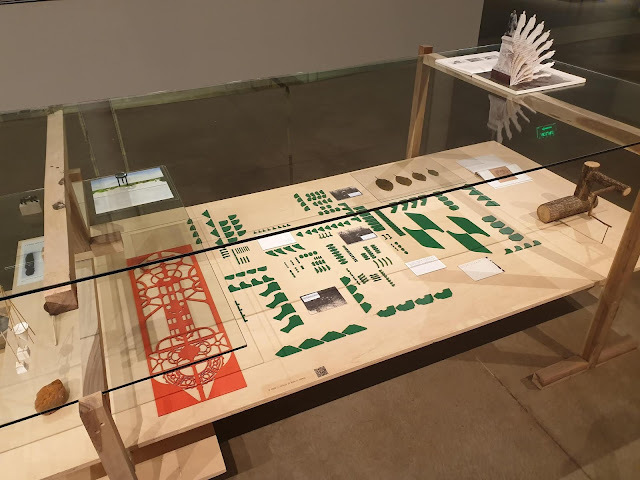 As narrated by co-guest Sandino Scheidegger of the Random Institute, other talks included topics such as ‘An Exhibition By Any Other Name’, ‘How Can Art Institutions Foster Experimentation?’ or ‘Curating in Context: How to Be Site-Specific’ (programme pdf here). Sunday 14 April 2019: A very welcome free day Sunday. 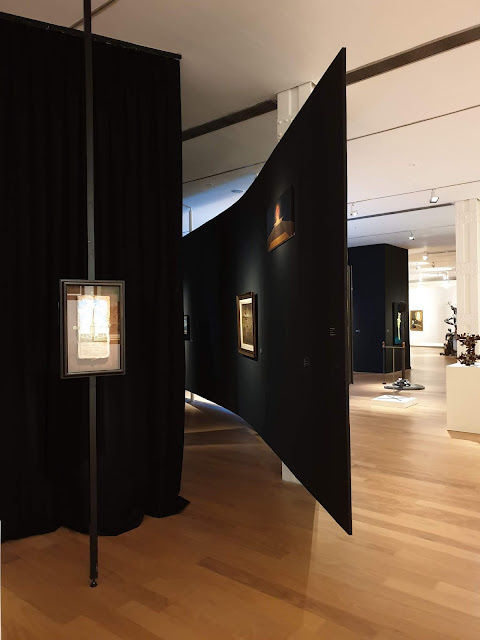 We visited MUNTREF—Centro de Arte Contemporéneo's recently opened Premio Braque 2019 exhibition featuring works by fifteen Argentinian artists: Alfredo Dufour, Belén Romero Gunset, Celina Eceiza, Erica Bohm, Gustavo Nieto, Julián Sorter, Malena Pizani, Mariana Ferrari, Mónica Heller, Nacha Canvas, Nicolás Mastracchio, Juan Sorrentino, Mariana López, Dani Zelko and Cecilia Szalkowicz, awarded this year Premio Braque with her piece ‘Cosmos’. 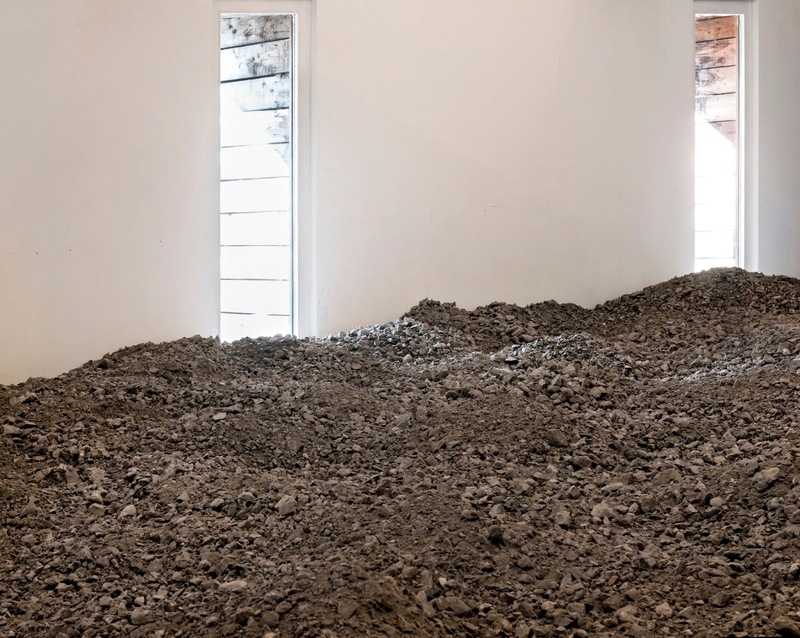 The award consists of a six-month residency at the Cité Internationale des Arts in Paris. 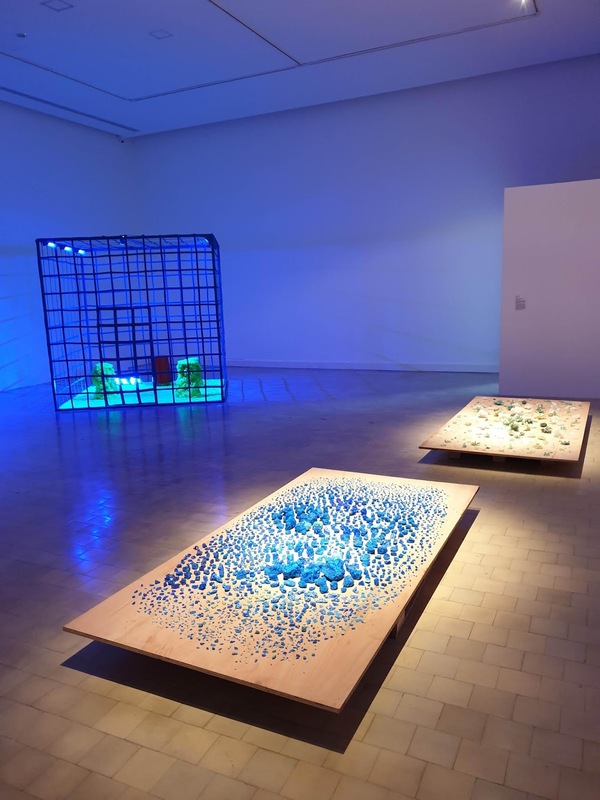 (Above and below) ‘Cena recalentada’ by Celina Eceiza. 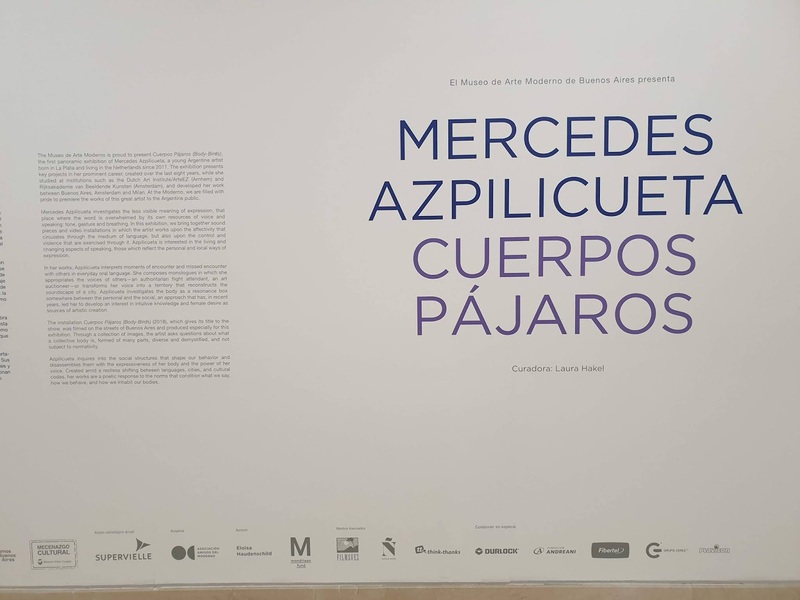 (Above, left) Belén Romero Gunset ‘Pensar sola es criminal’ and (right) Erica Bohm ‘El cristal perfecto’. (Above) Julián Sorter ‘Doble de cuerpo’. View of the show with works by Alfredo Dufour ‘Cest la vie I’, Malena Pizani ‘Cinco monos’ and Nicolás Mastracchio ‘Inducción VI’. 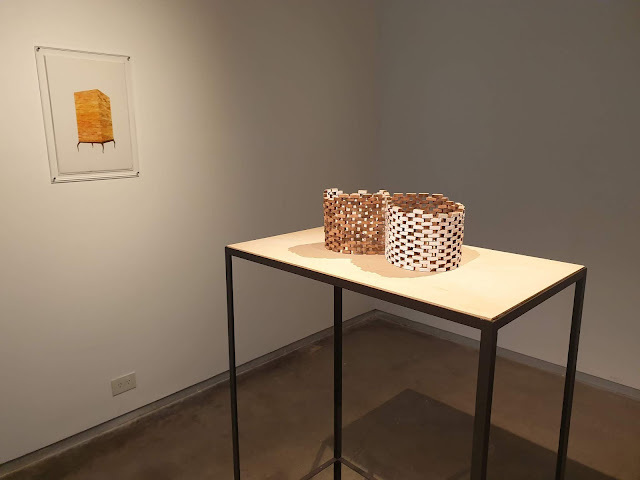 (Above, foreground) works by Nacha Canvas ‘Símil’ and (background) Mariana Ferrari ‘Vivir aquí’. 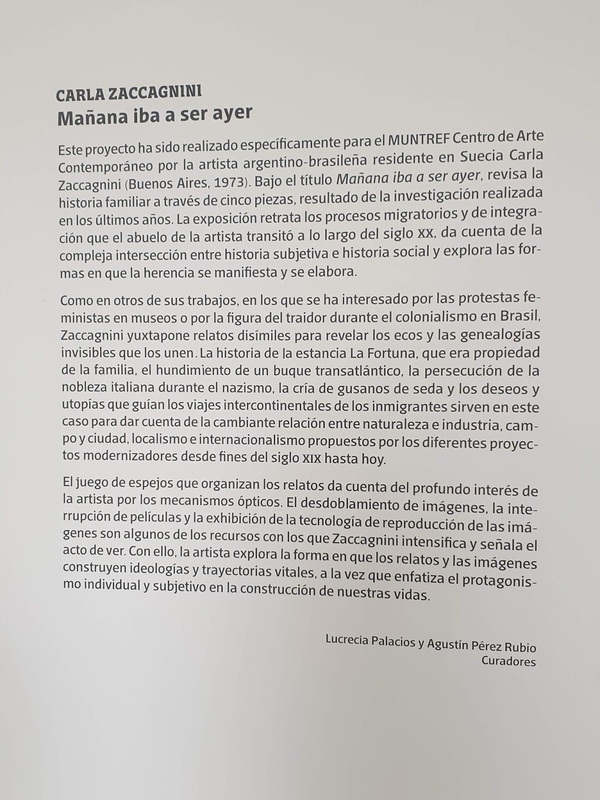 Entrance to Carla Zaccagnini's "Mañana iba a ser ayer" curated by Lucrecia Palacios y Agustín Pérez Rubio also on view at MUNTREF—Centro de Arte Contemporéneo. 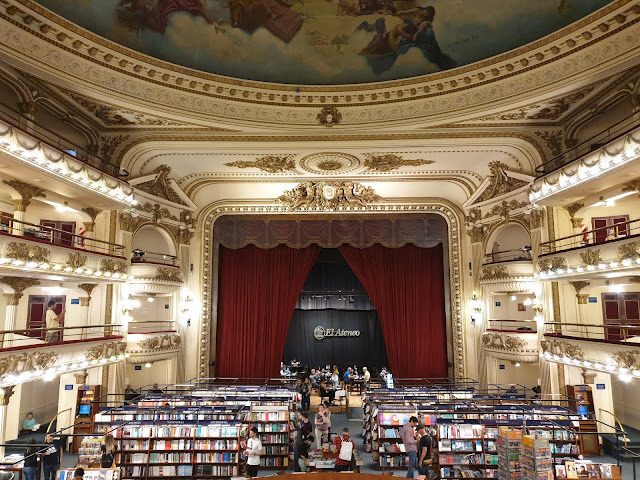 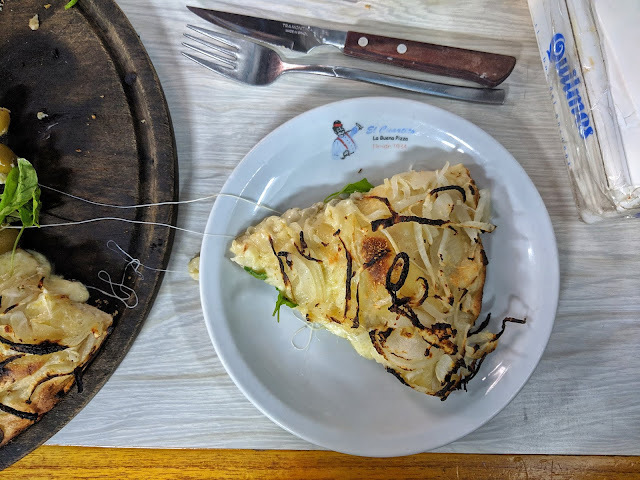 A classic fugazzeta at El Cuartito was followed by 1h walk to the Museo de Arte Moderno de Bellas Artes in San Telmo, with a short diversion to El Ateneo bookstore (below). 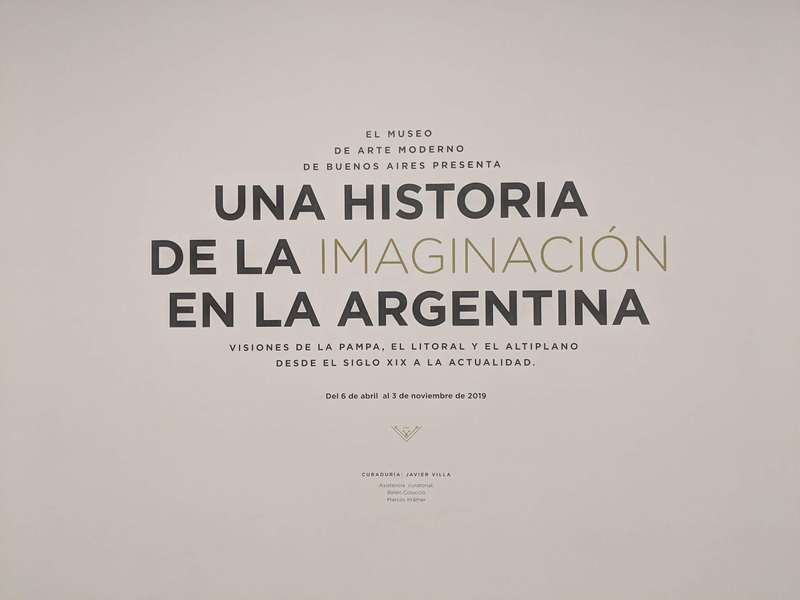 At the Museo de Arte Moderno de Buenos Aires: "Una Historia de la imaginación en la Argentina", subtitled "Visiones de la Pampa, el litoral y el altiplano desde el siglo XIX a la actualidad", one of the most interesting shows in town. 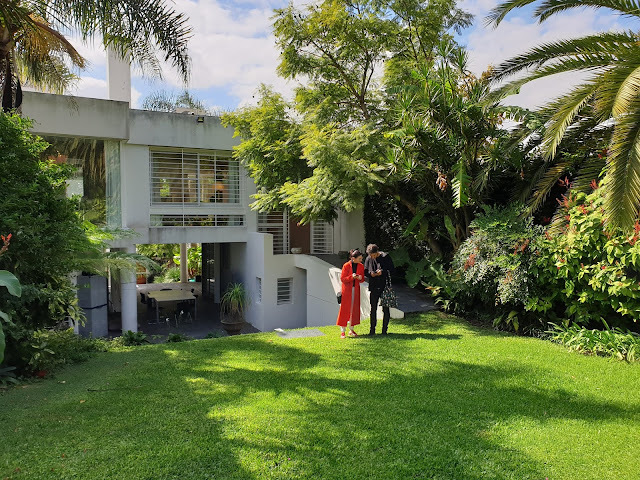 We wished we had seen it earlier in what has been a busy week. 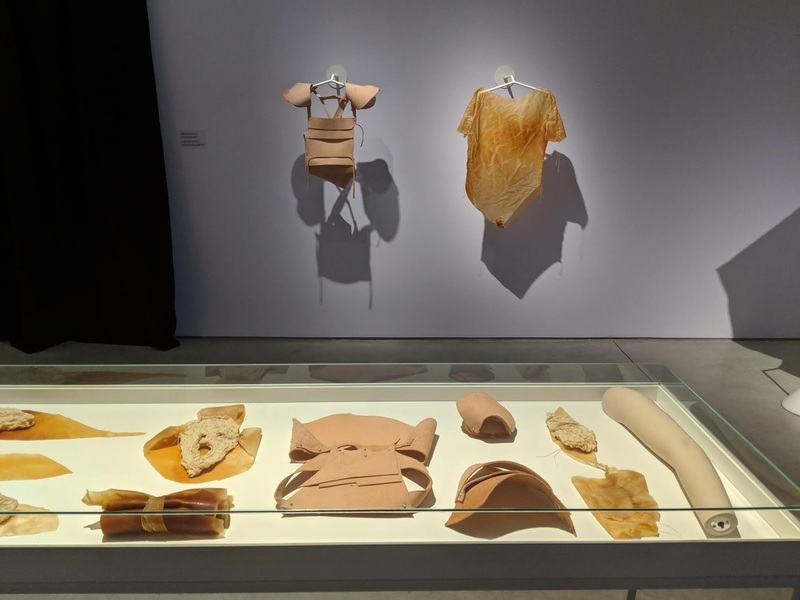 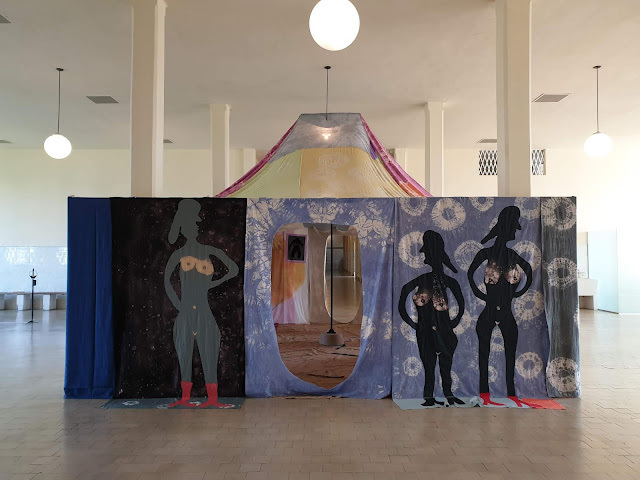 It included 250 works from different geographical points of the country, selected around their representation of nature, the feminine body and violence. 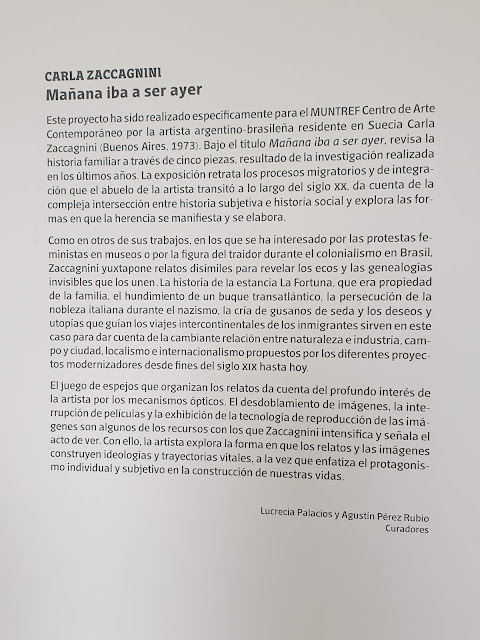 It was curated by Javier Villa, Chief Curator at the Museo de Arte Moderno de Buenos Aires. 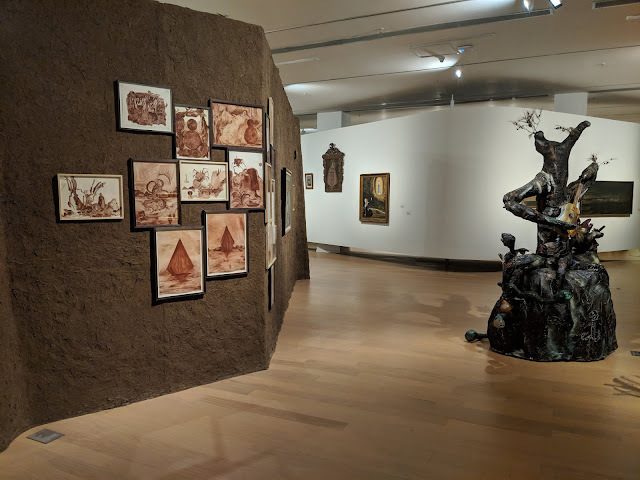 (Above) Works by Calixto Mamani and exhibition views below. 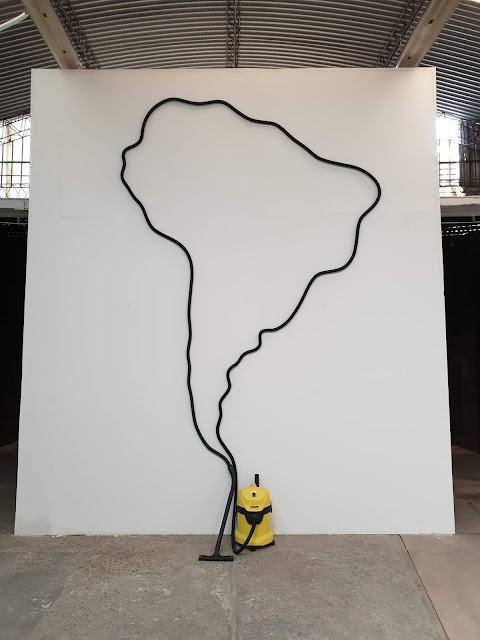 Installation "Mi Silencio miseria" (2015-19) by Carlos Herrera. 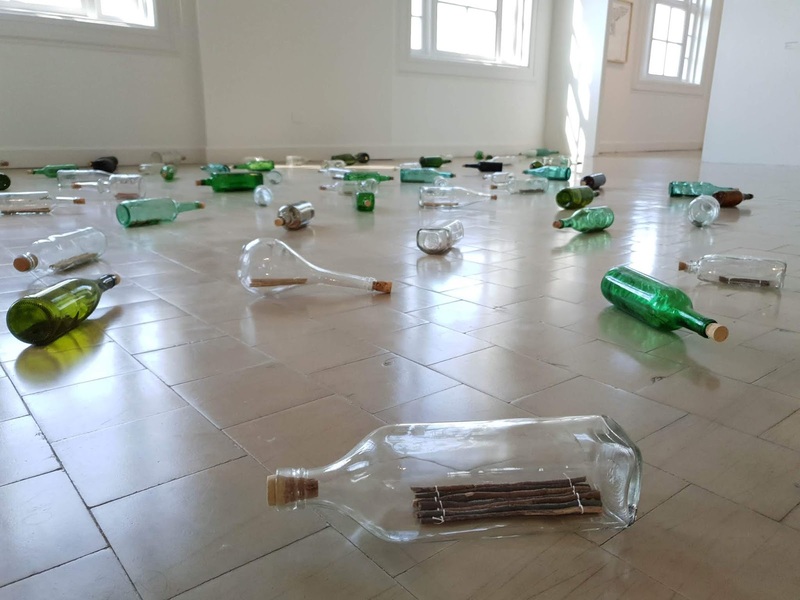 Also at MAMBA, we caught the last day of Mercedes Azpilicueta's solo show ‘Cuerpos pájaros’, and more specifically, her performance "Oh Eduarda!". 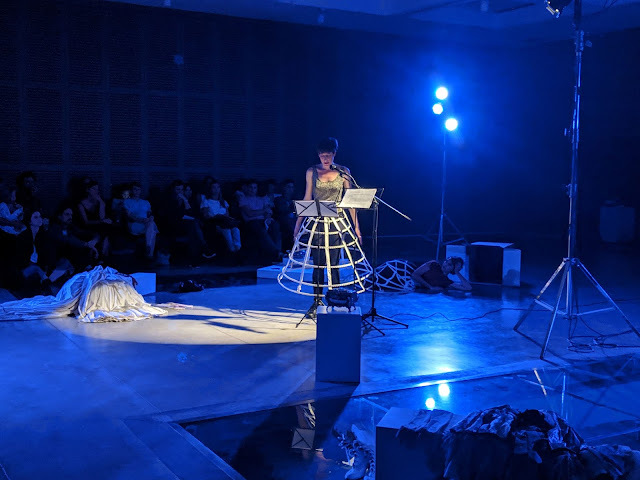 (Above) Azpilicueta performing during her "Oh Eduarda! ", a script realised in collaboration with Agustina Muñoz, who performs alongside the artist. 15 November 2017, 4:30–8pm: 'The Return of the Earth. Ecologising art history in the Anthropocene' study day at the CAPC musée, Bordeaux. 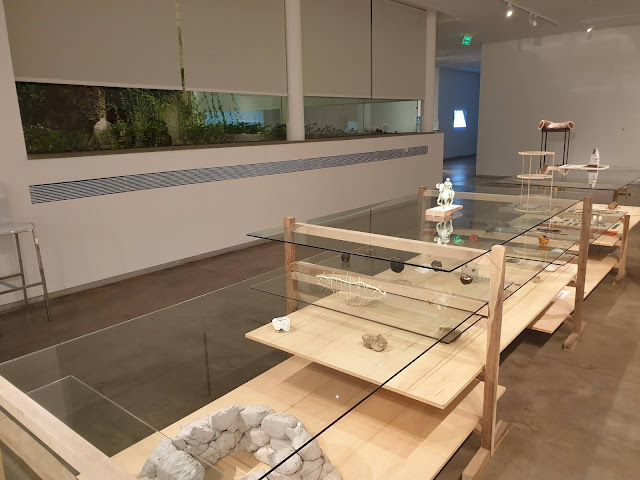 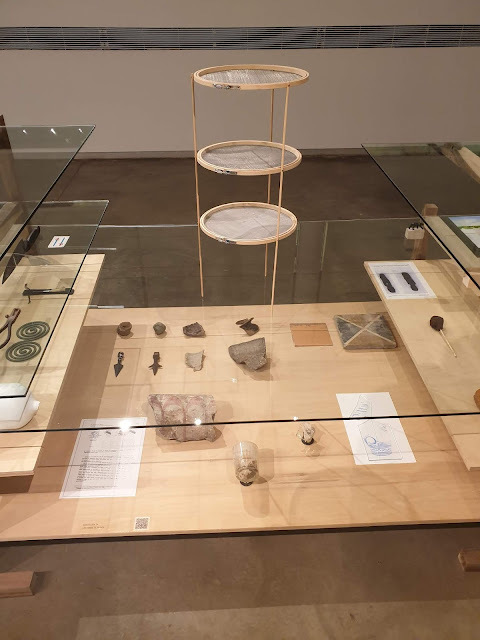 Lead Faculty, ‘Geologic Time’, Banff International Curatorial Institute, Banff Centre for Arts and Creativity, Canada, September 11–October 6, 2017. 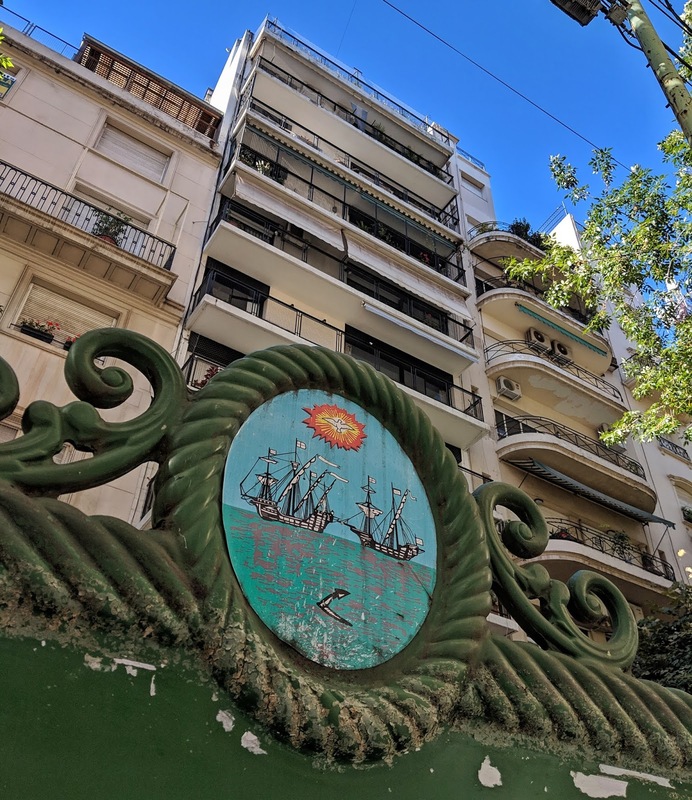 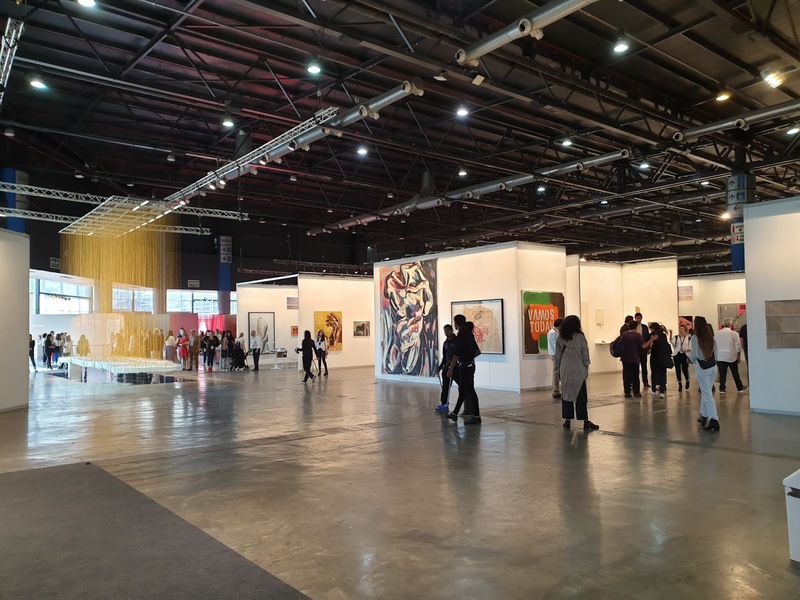 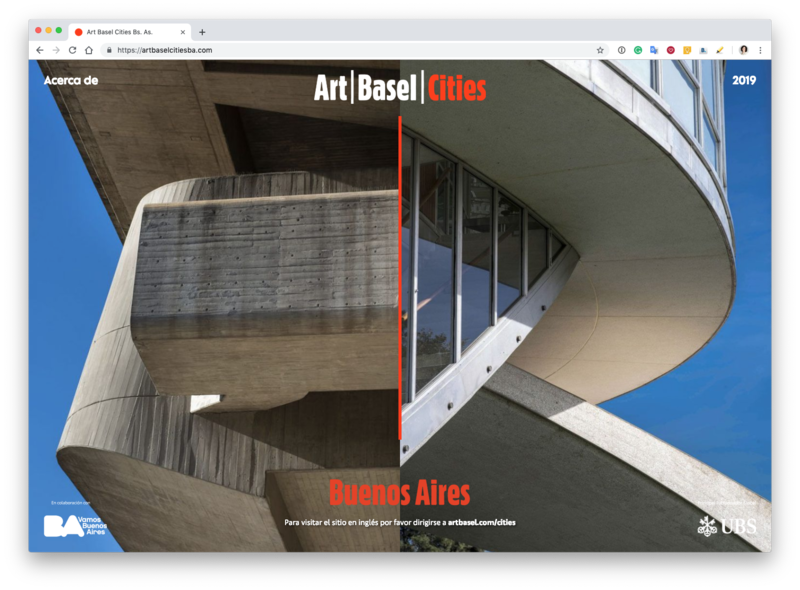 Art Basel Cities: Buenos Aires in collaboration with arteBA Fundación will host a Talks Programme between April 12–14, 2019. 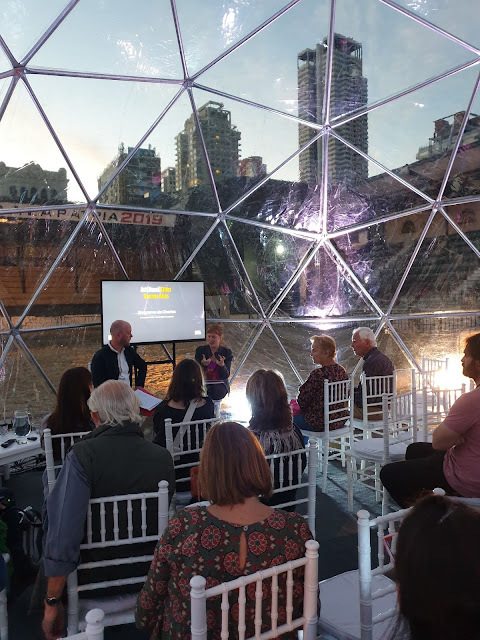 Forty-two speakers from across the cultural sphere will discuss salient topics with the Buenos Aires audience. 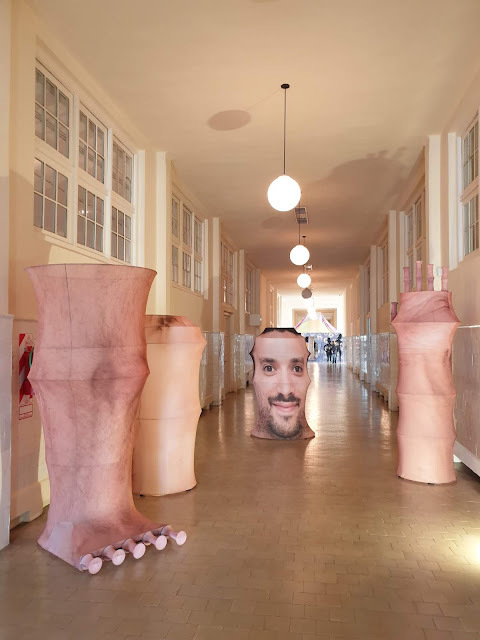 Max Andrews and Mariana Cánepa Luna of Latitudes will each participate in Parallel Rooms, an Art Basel programme format that began in 2017 allowing attendees to choose from and roam among multiple conversations happening simultaneously. 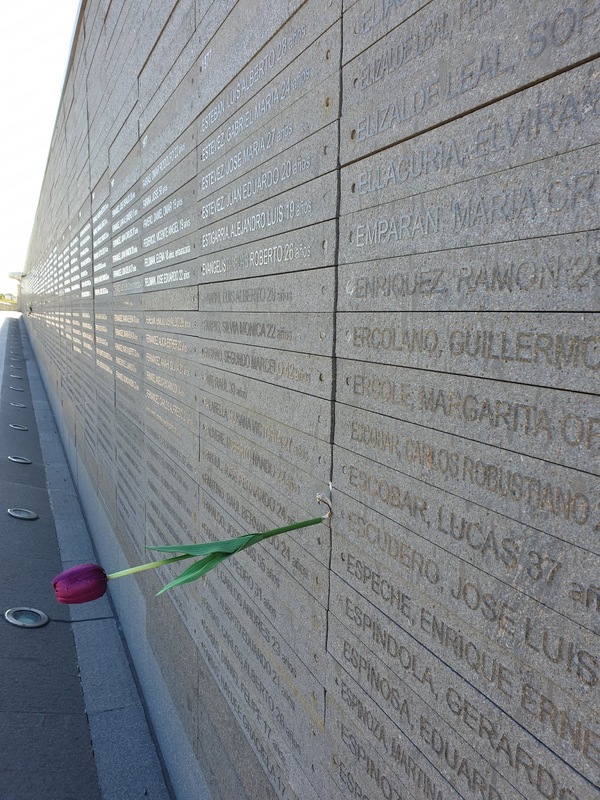 Check the full events programme here (in Spanish). Parallel Rooms takes place at arteBA, Pista Central de la Rural, Palermo, and are free and open to the public. 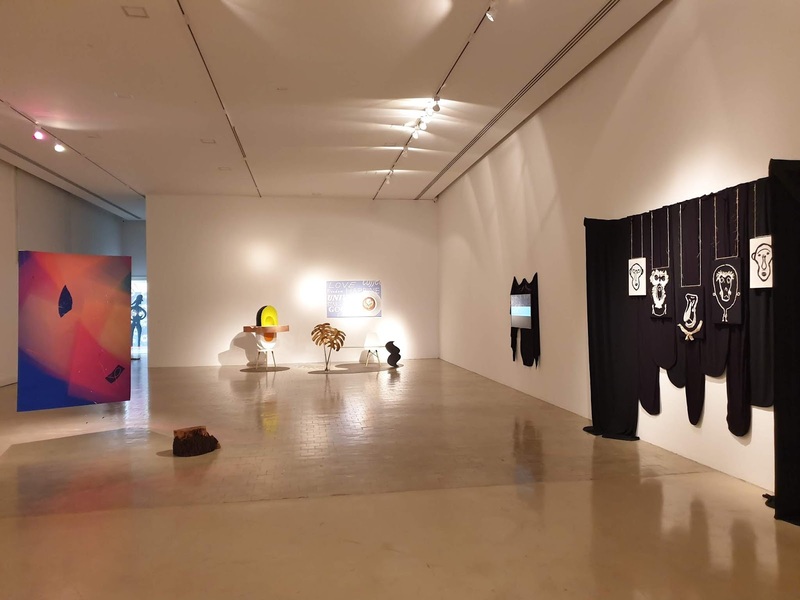 "First Things First: Making Exhibitions for a General Audience"
In this conversation, curators Max Andrews and Lara Marmor will discuss the challenges around what has become their primary job: curating and positioning an exhibition for a non-expert audience. Together they discuss: Are there curatorial strategies for speaking to a larger public? 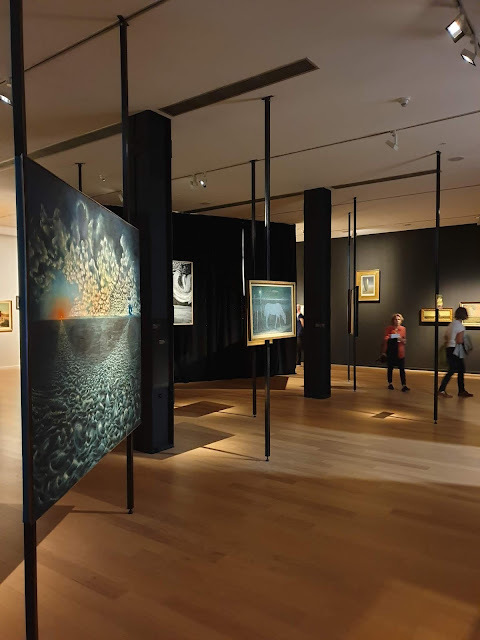 What can we do to encourage novices to visit an exhibition and help them enjoy it? 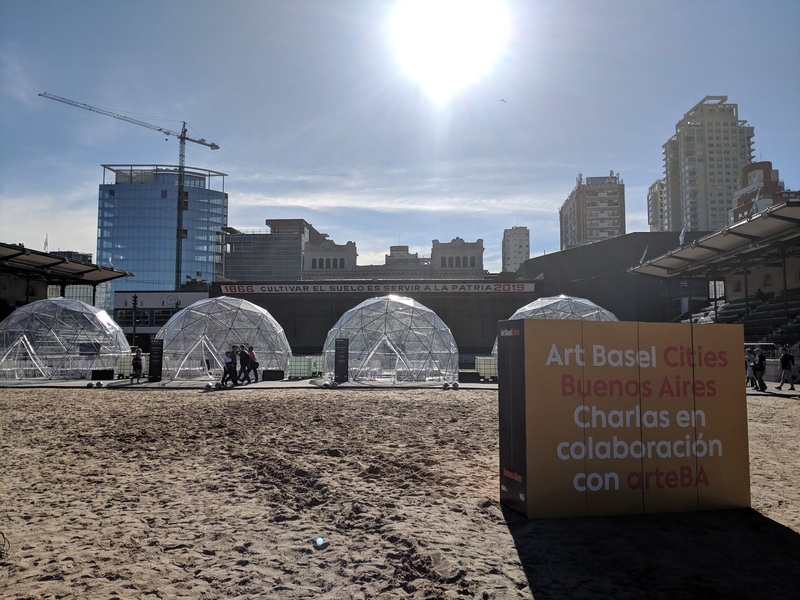 This session is free and open to the public and will be held in Spanish. 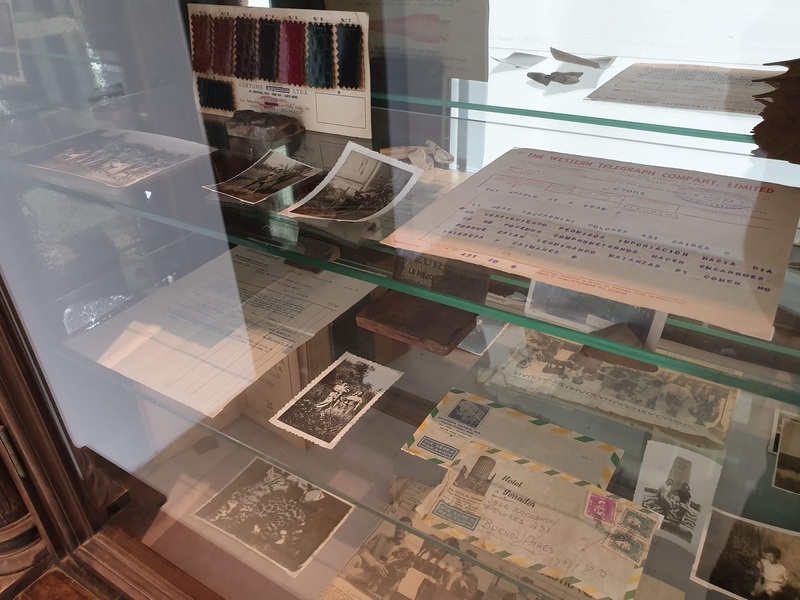 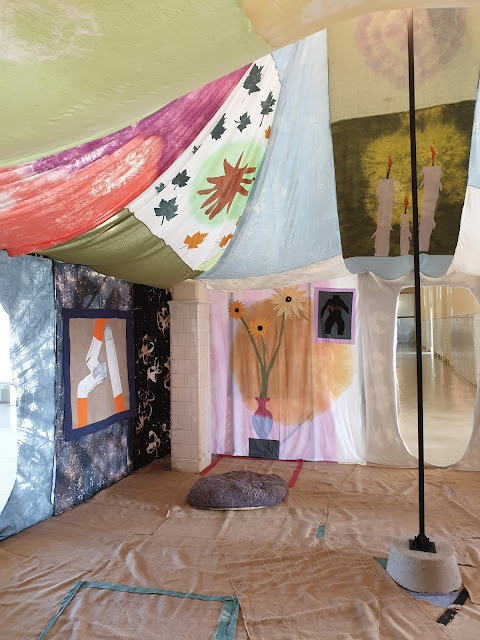 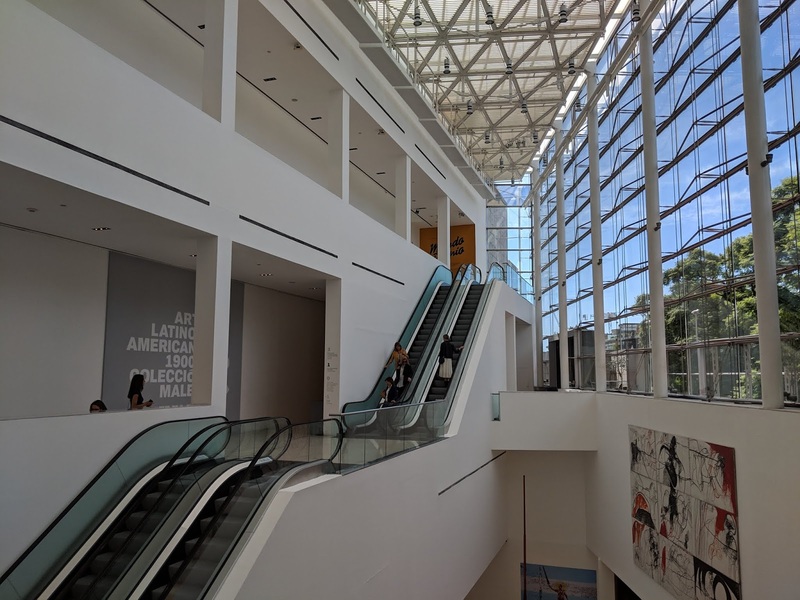 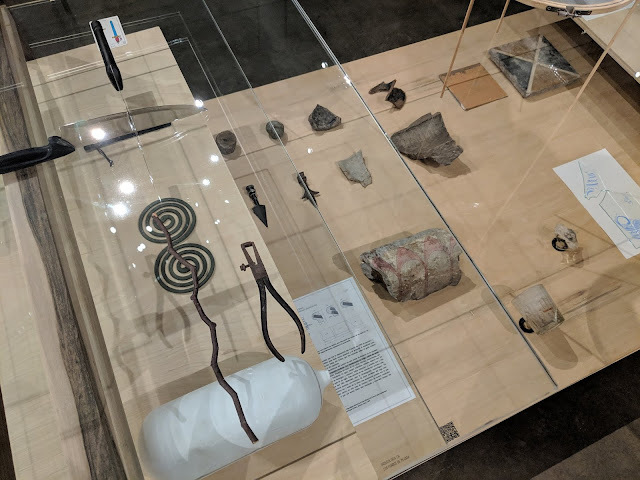 "Beyond the Museum: New Institutional Frames for Art"
Art is no longer confined to just museums; we can enjoy exhibitions in abandoned buildings, parks, and other unconventional spaces. 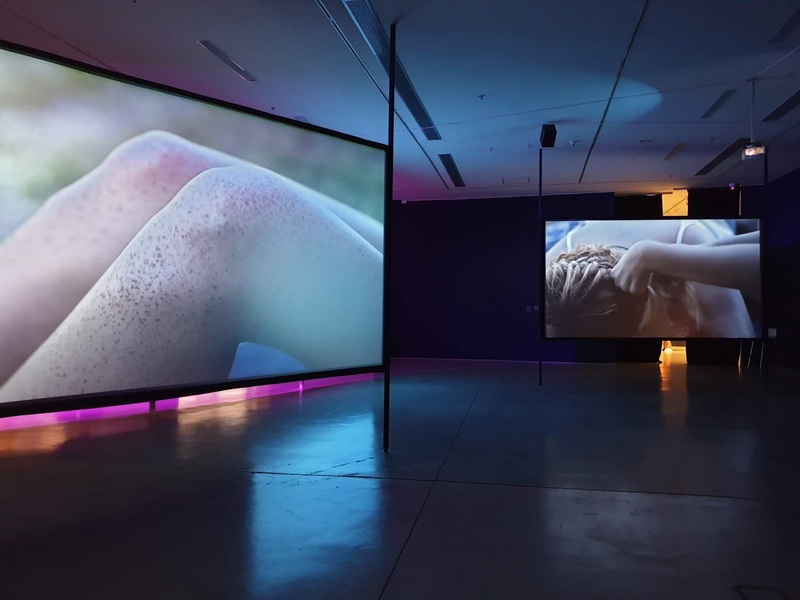 But the contexts for art are also changing in another sense, as new curatorial narratives shift traditional definitions of art and allow artists to engage in refreshing interactions with the culture at large. 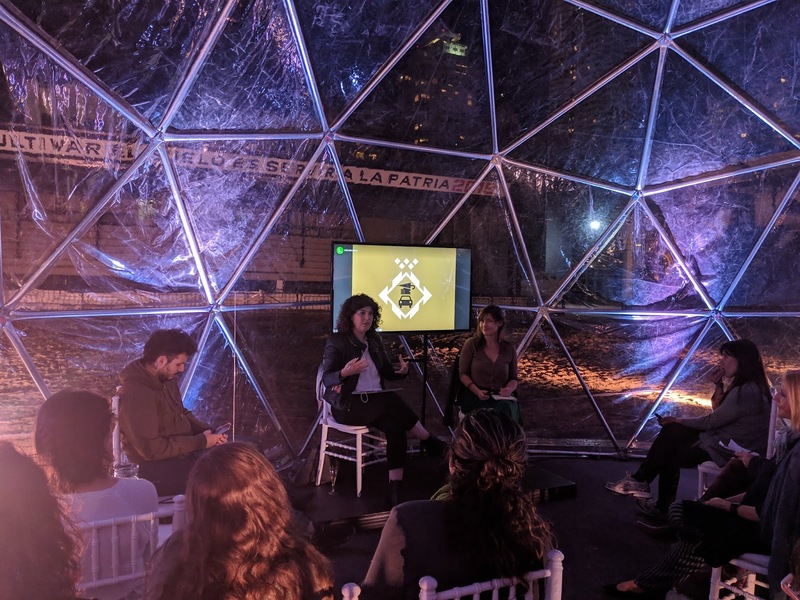 In this talk, curators Mariana Cánepa Luna and Solana Molina Viamonte discuss the transformation of traditional art spaces and the evolving relationship between the art lover and the curator. 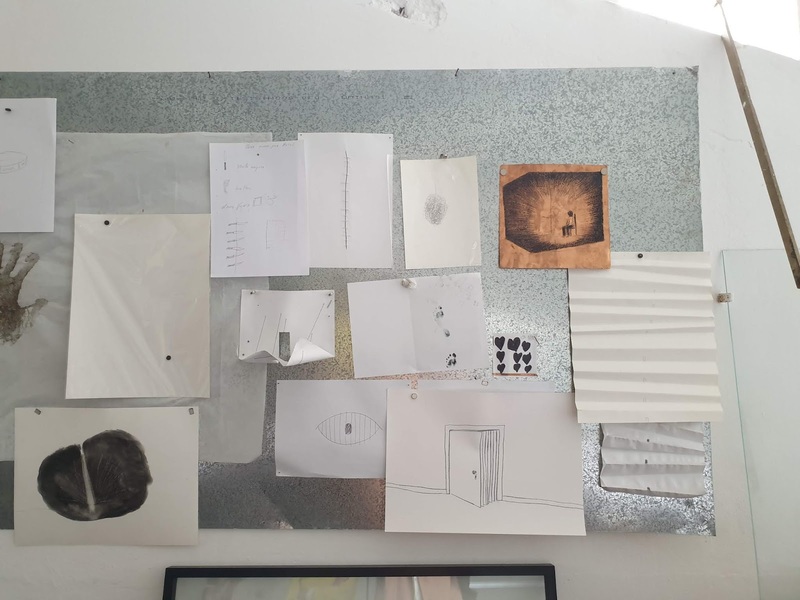 Lecture, “You're such a curator!”, De Appel Curatorial Programme Summit, Amsterdam, 23–24 November 2016. Panel discussion, ‘Rethinking Institutions’, Athens Biennale 2015–2017 ‘OMONOIA’ Summit, Athens, 18–19 November 2015.